About a month ago I started to experiment a bit with 3D modeling. 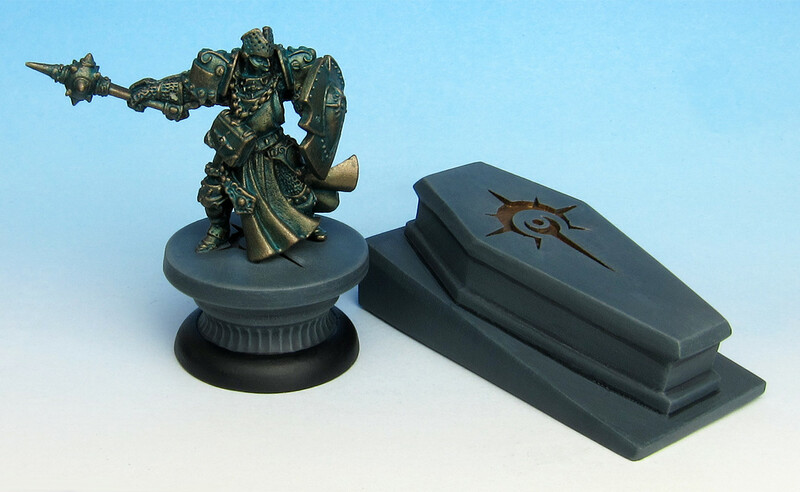 There is an encounter in the Iron Kingdoms Witchfire Trilogy adventure “The Longest Night” featuring a sarcophagus of a high priest of menoth. 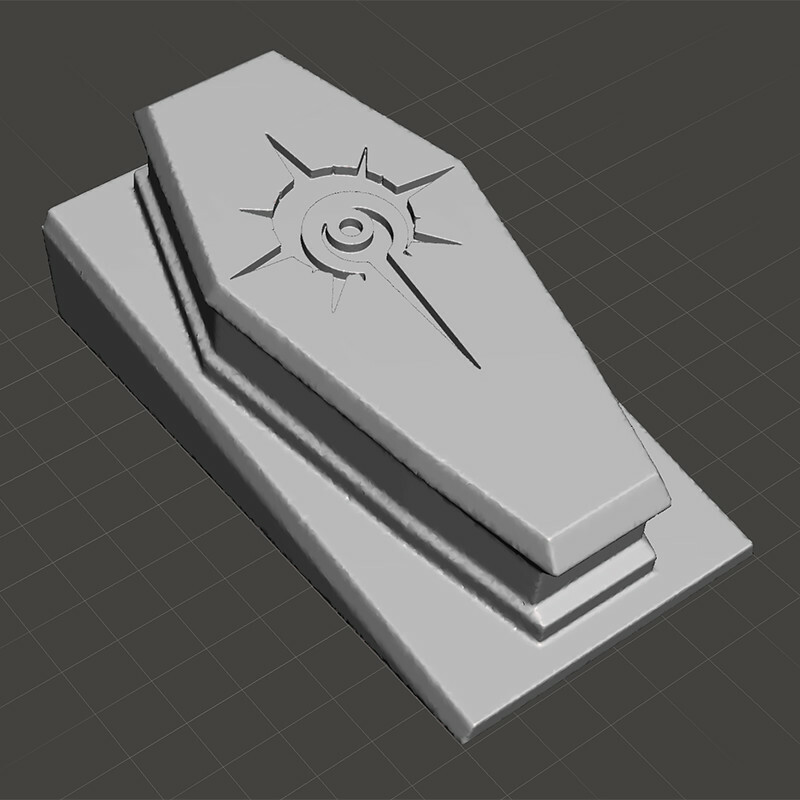 I found a nice sarcophagus on Thingiverse, but it had the wrong symbol on the lid. 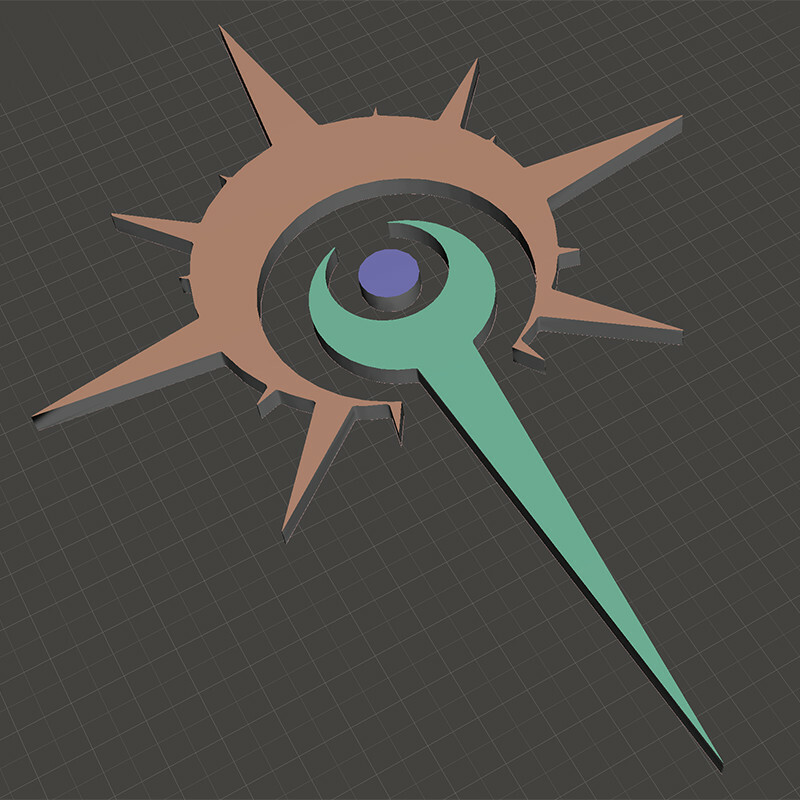 So I sat down and created a 3D model of the symbol of Morrow and added it to the existing model. I also changed the base of the sarcophagus to sit at an angle. 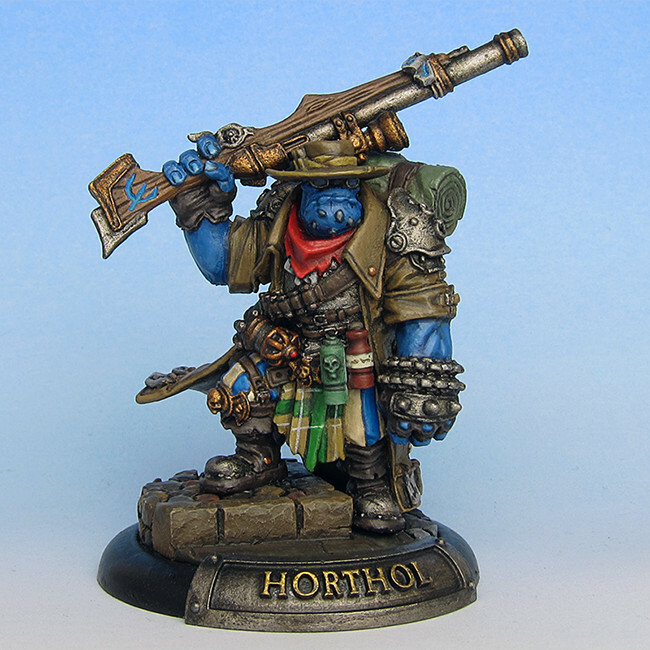 To add even more elements to the encounter I also created a statue of the high priest. 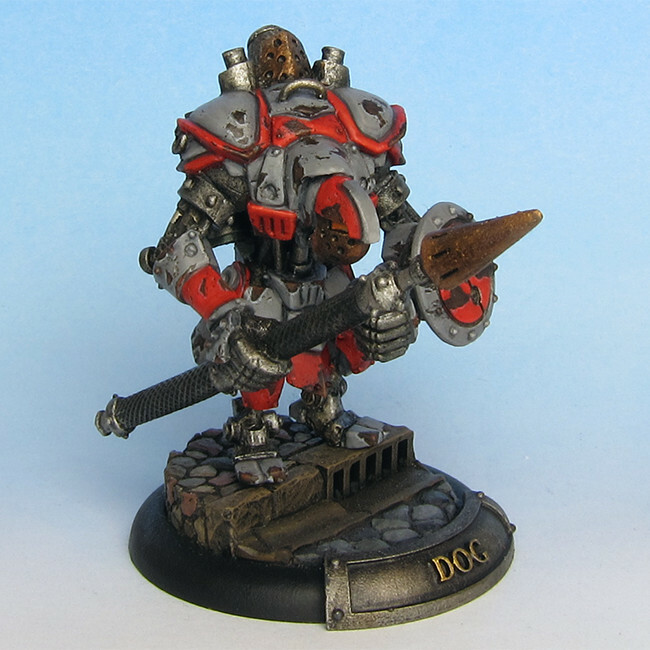 The statue itself is a Precursor Knight from Privateer Press, the socket is once again from Thingiverse. And the fifth and final player character of my RPG group, Alyssa Ferryl, a gifted Nyss refugee from the far north. 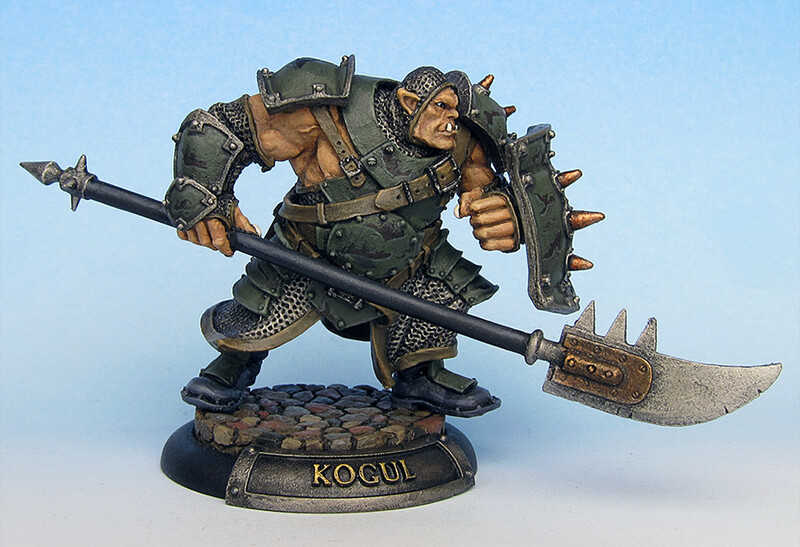 The second player character of our group is Kogul Storngarm, an Ogrun Warrior who’s thirst for adventure led him to Corvis, the City of Ghosts. After years of not playing pen and paper RPGs I was asked some time ago to master a new group. I managed to convince the group that an Iron Kingdoms setting was a good choice and two days ago we had our first session. 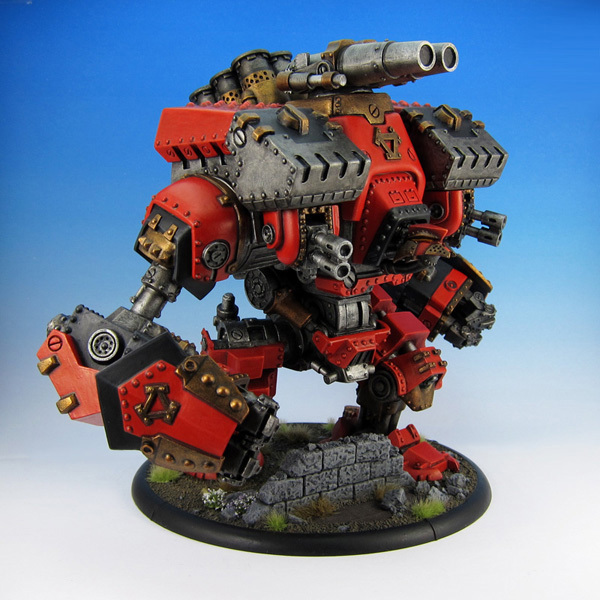 When Privateer Press announced the second wave of Colossals some weeks ago, I decided it was time to paint the Khador Conquest from the first wave, which has been collecting dust for more than two years now. 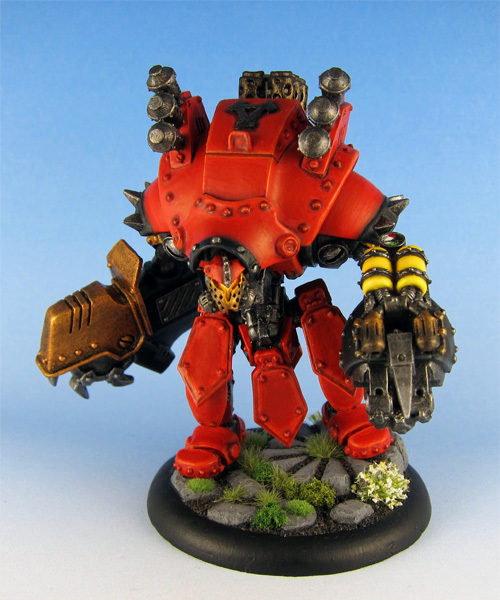 I was really sceptic about the new Khador plastic warjack kits. I’m no fan of plastic and the new design with the larger back didn’t agree with me either. It took me about a year to finally sit down with the kit and assemble a jack. My first impression wasn’t very good. The plastic took a lot of work to clean up and get ready for assembly. But once I began assembling Torch my doubts evaporated. The plastic allows for so much more flexibility than the metal kits gave me. It was very easy to reposition the legs and get a slightly twisted torso. I’m very happy with the end result. The jack looks much more dynamic than any of my metal ones. In addition to that in direct comparison the proportions of the new chassis are much better then the old one. The legs and feet are a bit larger and fit better. 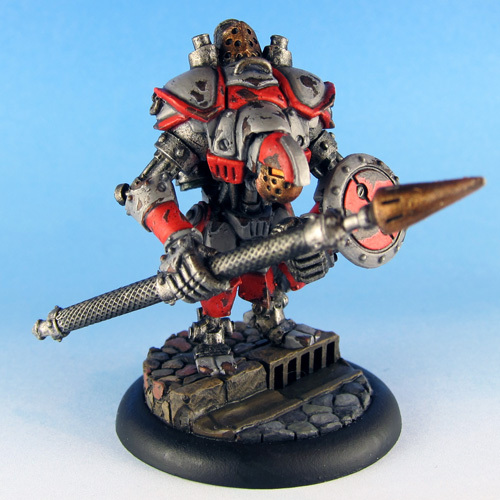 One of the only things I didn’t like about the new plasic kit is the absence of a Khador symbol on the back of the jack, so I decided to add one. 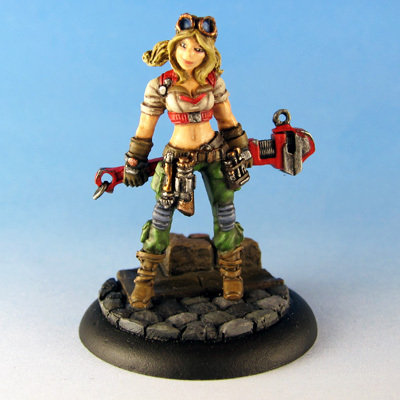 Zerkova is one of those minis where I loved the concept art and was rather disappointed with the actual model. 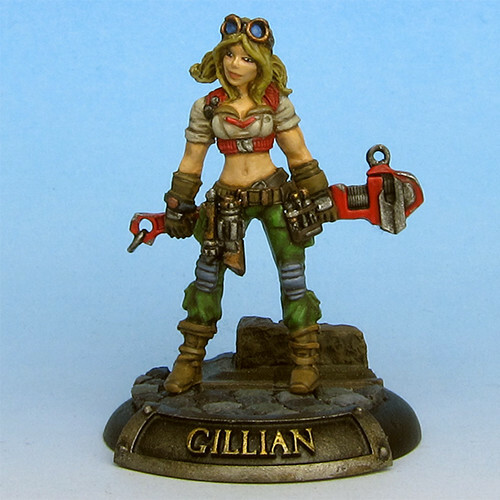 The original face looks weird, the mini looks rather flat and her “forward stride” pose is a bit odd. 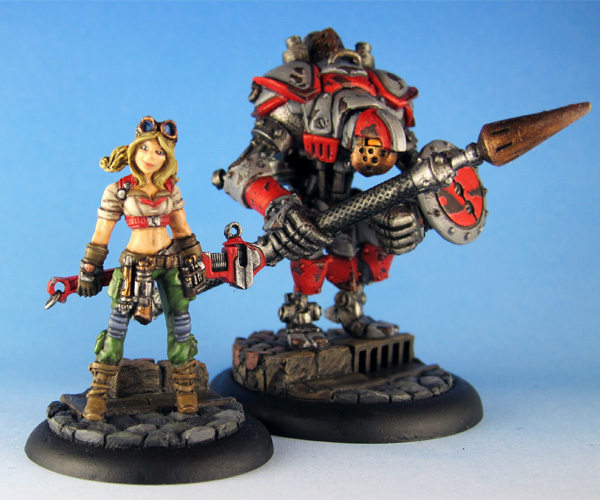 I tried to solve at least two of those problems with my Zerkova. The most prominent conversion is her head. 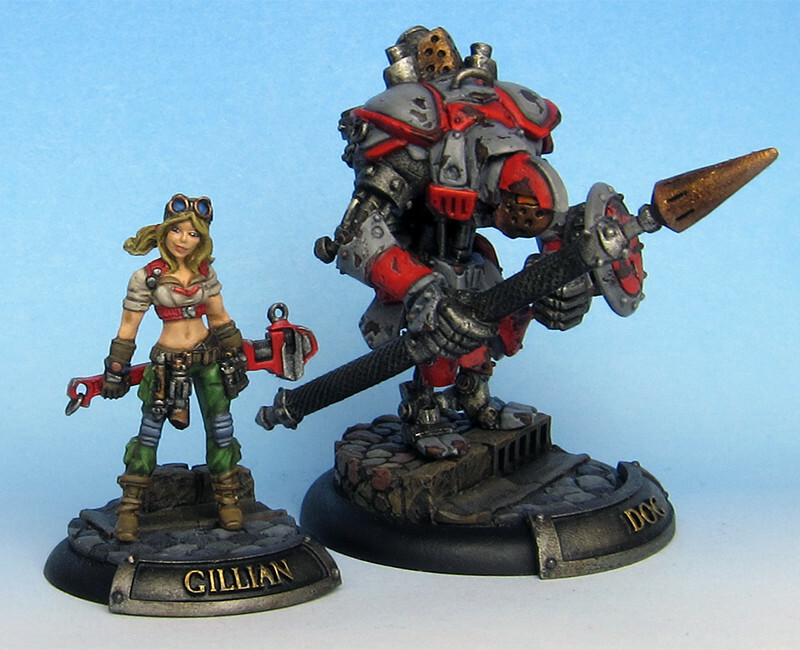 I removed the original head and replaced it with the Head of Rasputina from Malifaux. In addition I changed her pose to a more stationary one.